He may not lead his team in goals or assists, but there’s no question that Austin Wellsby is a leader. 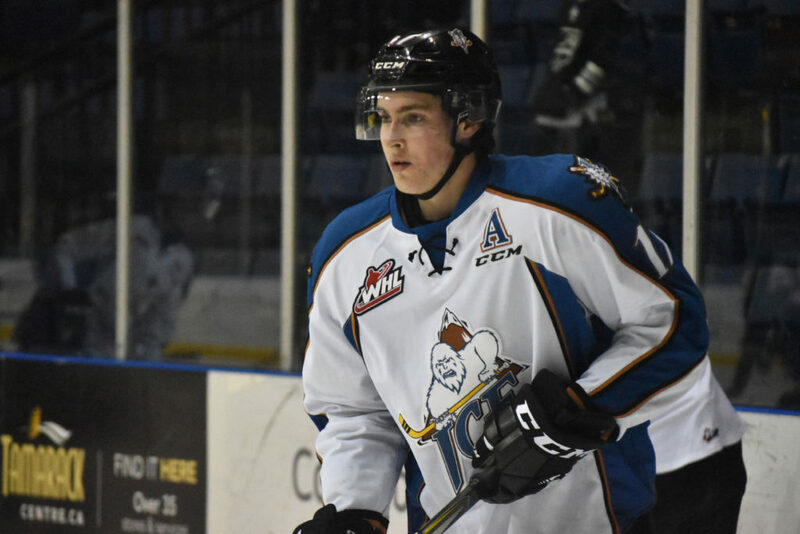 Although he’s been overshadowed in the past, after the Kootenay Ice traded leading-scorers Zak Zborosky and Matt Alfaro two weeks ago, the 19-year-old winger has stepped up in a big way for the team. Since being selected as an alternate captain, Wellsby has 4 points in three games and has been a vital part of the team’s transitioning locker room. While Wellsby admits that he’s felt added pressure since the departure of Zborosky and Alfaro, he’s been thriving by sticking to the way he’s carried himself throughout his entire career. Head coach Luke Pierce pointed to a negative example to point out what Wellsby means to the team. “I thought he struggled a bit on Saturday which had an impact on our team,” Pierce said. “That’s where his importance really stands out, when he’s struggling it’s noticeable. Although Pierce said Wellsby had a slow start, he has rapidly been proving that he is one of the team’s best players. So far this season, Wellsby has 6 goals and 11 assists in 48 games. In 152 career WHL games with the Ice, he has 34 points in 152 games. With the probable absence of captain Cale Fleury tonight, the Ice will hope that Wellsby continues to excel and push his point streak to a fourth game.